Ravensara Essential Oil is sometimes called clove nutmeg. Traditionally used where analgesic, antibacterial, antiseptic, diuretic, expectorant, antiviral, and stimulant properties are needed. It has a mild aroma similar to eucalyptus. 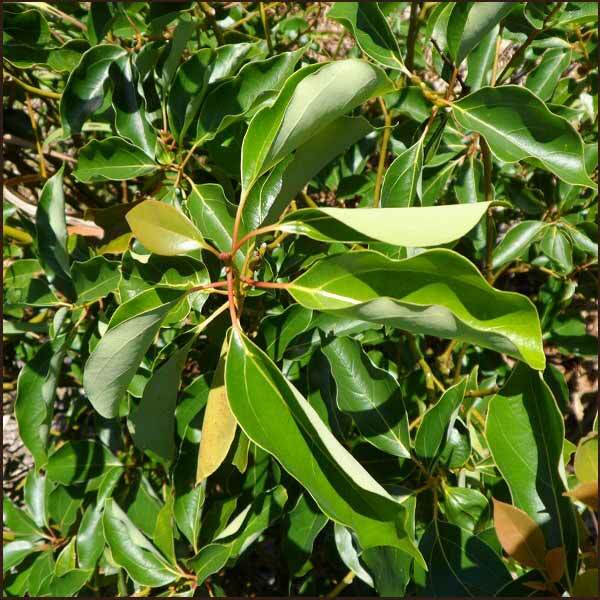 Ravensara is a member of the Lauracae (laurel) family and it originates from Madagascar. Names for it include havozo, hazomanitra. The benefits of pure Ravensara oil from the leaves and bark have been known for thousands of years in Madagascar. Biologists first became aware of the plant in 1782 and the beneficial properties were fully analyzed in 1958. Present production uses the leaves of the plant in a steam distillation process that captures the oil in its purest form. The oil has a high concentration of limonene that produces a slight citrus aroma and is essential to the antiviral, antiseptic, and antibacterial action of the oil. Sabinene is a large component of the oil and is credited with the diuretic and expectorant results from using the oil. Ravensara was used as a healing medicine by the ancient Egyptians and has been found in Greek, Roman, and Middle Age pharmaceutical texts. In Madagascar, where ravensara plants were first found and used by locals, ravensara essential oil is nicknamed “the healing oil.” Though ravensara essential oil is not as well-known as lemon oil or lavender essential oil, it is an essential oil that is a favorite of natural healers and aromatherapists alike for a multitude of reasons. Ravensara oil has found itself a wonderfully beneficial and heath restoring niche when used with other essential oils. Thyme, rosemary, marjoram, pine, ginger, sandalwood, grapefruit, bay, and cedar wood are often blended with ravensara oil to enhance the smell of oils used in aromatherapy as well as adding to the emotional, physical, and mental benefits of the oils. Ravensara oil is an excellent choice for people who want to brew a fragrant, exotic-smelling soap that has antibacterial and antifungal properties. A small dab of diluted ravensara oil also can sanitize cuts and burns. * As an antiseptic and antibacterial essential oil, ravensara essential oil’s properties have been well documented by scientists and natural remedy experts alike. Because ravensara oil has antiseptic, antifungal, and antibacterial properties, it is a great essential oil to add to homemade cleaning products. 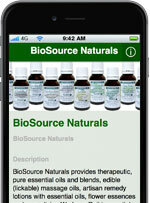 * Herbalists have been using this oil via spray, vaporizer, and fumigants for quite some time. For those who use essential oils as a personal perfume, ravensara could become a new favorite. This woody yet spicy essential oil is great for mixing into a gender neutral scent, or as a base for a more flowery scent. Because ravensara essential oil does have a very strong scent, a little bit goes a long way. We love the way it smells when combined with similarly exotic oils. The oil is said to have some aphrodisiac qualities. In fact, it’s ravensara oil’s spicy, woody, camphor-like scent that makes it an excellent decongestant. Many people in Madagascar know ravensara oil as an excellent inhalable decongestant, especially for days when allergies or the flu become a little too much to handle alone. When used with a simple diffuser, ravensara oil can help clear up even the stuffiest of noses, and the most irritated of sinuses. Unlike other essential oils, ravensara does not irritate allergy-prone individuals. In fact, many people in Madagascar note that allergic reactions to other substances are reduced when exposed to ravensara oil regularly. We suggest keeping a small bottle of this oil with you at all times during allergy season. Aside from being an excellent decongestant, many natural healers use ravensara as an aromatherapy oil. Commonly used to promote lung health and sinusoidal health, ravensara oil also can be mixed with bergamot and similar oils to lift moods and boost energy. Even animals like dogs and cats have been known to get mellower in mood when near a ravensara essential oil diffuser. It’s also worth noting that many herbalists also cite ravensara oil as an aphrodisiac when used in aromatherapy. 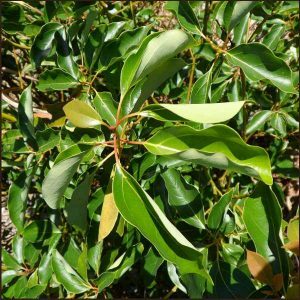 Much like its more well-known counterpart, camphor, ravensara oil has also been established as a natural relaxant. So, if you’re feeling stressed, mixing an aromatherapy remedy which involves ravensara in one way or another is a very wise move. According to several studies, ointments that are made with ravensara essential oil can prove to be very useful for people who have inflamed joints. * Thanks to its topical analgesic properties, ravensara essential oil can be used to soothe arthritic joints as well as joints that are simply sore from overuse. It even has been known to be a great pick for tired, sore muscles after rough sports days. For people who are looking to detox, picking up a bottle of ravensara oil can be a smart move. This oil has been used in the past as a highly effective diuretic, and has also been linked to removing major accumulations of toxins. If used wisely, ravensara oil can aid weight loss endeavors, and also improve the body’s ability to cope with the ravages that come with modern living. When mixed as a tonic, ravensara oil can also be used to help children grow faster and taller. Blends well with bergamot, bay, black pepper, cardamom, cedarwood, clary sage, cypress, eucalyptus, frankincense, geranium, ginger, grapefruit, marjoram, palmarosa, pine, rosemary, sandalwood, tea tree and thyme. Blending ravensara with other natural mood enhancers and health enhancing essential oils provides additional benefits. Blends of camphor and ravensara oil produce an enhanced feeling of relaxation and feelings of well-being. Blends with bergamot produce added remediation of itches, fungal infections, and insect bites. Palmarosa and ravensara produce an effective insect repellent. It is not recommended to use this product for those with a history of cancer, on infants, the elderly, people with genetic susceptibility to cancer, people with a family history of cancer, those who have occupational exposure to carcinogens, smokers, or heavy drinkers. Maximum dermal exposure in blends @ 1%. This is like a gentler tea-tree type oil in on-skin application. Mild as an inhaled aroma. At its low price, this would stretch the more expensive Yarrow (or another in the higher price range) out as an additive and not crush its complexity.” – B.E.